Linda Augsburg and Angela Walters give tips for planning the design for your quilt tops. 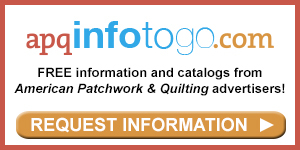 "Hi, I'm Linda with American Patchwork and Quilting. 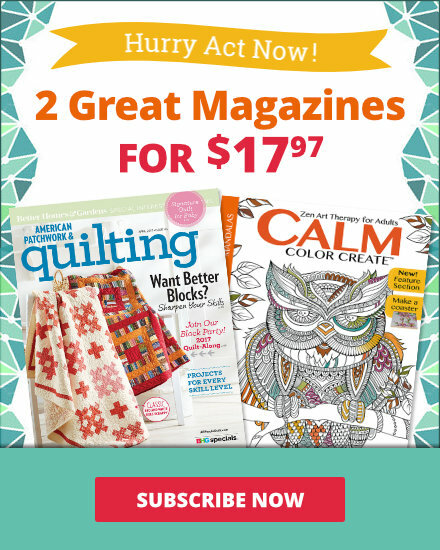 And I'm here with Angela Walters, and she's Handi Quilter's ambassador, and we're going to talk a little about choosing the design for your quilt top. Because really I think that's the reason that a lot of quilt tops don't ever get quilted is people don't know what to do next." "I think that's true. You get finished with a quilt and you think, 'How am I supposed to quilt it?'. I would start out by saying there's no wrong answer. I think that's going to relieve a lot people. If it sounds good to you, go for it. But I do have a few tips and tricks that might make that decision-making process a little easier." "Perfect." "So I brought a quilt here, and this was pieced by Emily Cier, and what I really loved about it was the flow of the colors." "Yeah, it's beautiful." "I thought she did great color placement, and I knew if I quilted each one of those blocks separately it would really kind of take away from that overall look." "I can see that". "I would say the first thing I'm thinking of, is the quilting going to enhance the quilt pattern or highlight the quilt pattern? And this is a great example that you don't have to quilt it to death like I normally do." "So just an allover kind of wavy lines." "Yes, just to kind of enhance that color." "Perfect." "But sometimes you might have smaller pieces or elements of the quilt that you want to highlight. And this is a quilt that I did and it has all those tiny triangles. Now I didn't have to quilt them all separately, but I really wanted to highlight those and kind of enhance the patterns. So the first question I'm asking myself is, what can I do to enhance the pattern of the quilt?" "Now, could you also have quilted this in an allover?" "Absolutely, maybe I could have treated this all as one section, it would have looked great." "That's a good tip. It's nice to know that there's not a right or a wrong answer." "Exactly". "So a lot of these quilts are more modern looking. Do you have something you could show me that's more traditional?" "I do, and I would just say that when I started quilting it was traditional quilts I worked on a lot. And when I started on quilting modern quilts, I didn't feel the need to come up with new designs. So don't feel that you have to learn a brand new design." "Oh that's interesting, too. 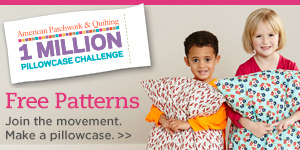 Let's talk a little bit about how you might quilt some." "Yeah, so here you have a quilt with a star pattern. It's beautiful. And I would say when you're looking at your quilt and trying to decide what design to use, ask yourself what sticks out to you most. It might be the whole star, so you pick designs that will enhance that whole shape. But it might just be an element of the block, such as the center. Maybe you really like the center fabric and you want to highlight that, so I'd use a bit of a different design there and do something different in the background of the quilt." "And maybe more quilting in the center and less in the background." "Yeah, just whatever you can to really make that part pop out or not. But sometimes it's not the block, right?" "No, sometimes it's not the block." "Sometimes it's the negative space, and here we have a nice traditional quilt. I mean it's an Irish Chain with a Nine-Patch but it has these big setting squares. Well, maybe that's the part of the pattern that sticks out to you. Well, you can enhance that with a different design by highlighting it with a motif or something like that. So first step, just look at the quilt and ask yourself, 'What sticks out to me and how can I make it shine with the quilting?'" "So really break it down and figure out what you want to highlight." "Once you break it down it makes it a lot easier to manage it." "Now, do you have any finishing or final tips that we can pass along?" "I would say finished is better than perfect." "Perfect. Thank you so much, Angela, for these tips. 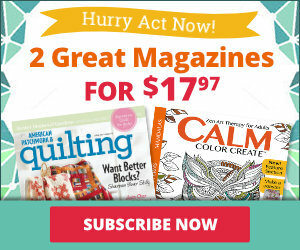 I know they're going to help everyone gets quilts finished. So let's get started on that quilting."